In Arizona, Norm goes on a search for Arts and Crafts-style furniture in Tucson's Historic Arts District. Responding to the many viewer requests he receives each season to build more of the ever-popular Arts and Crafts-style projects, Norm ventures into the F.L. Wright Furniture Gallery where he finds a virtuoso example of the era-a classic, reclining Morris chair. 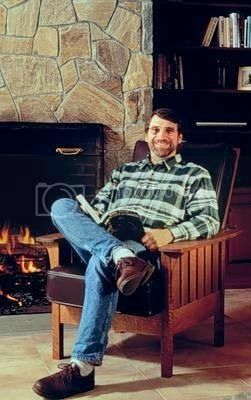 Norm recreates this vintage design out of quarter sawn white oak and in the process, shares his secrets for mastering the techniques required to build the chair's reclining back.